Running as fast as possible is not necessarily the optimal way to escape, according to new research of predator-prey relationships on the African savanna. When a running predator goes after terrestrial prey, the potential victim's best hope for survival is surprisingly not to run as fast as possible, but rather to move in slower, more unpredictable ways that may confuse the would-be attacker. At least that tactic works best for impalas and zebras hoping to avoid becoming the dinner of lions and cheetahs in their natural savannah habitat. The findings are published in the journal Nature. "The key thing is not to run flat out when a predator is close and chasing," lead author Alan Wilson of the University of London's Royal Veterinary College (RVC) told Seeker. 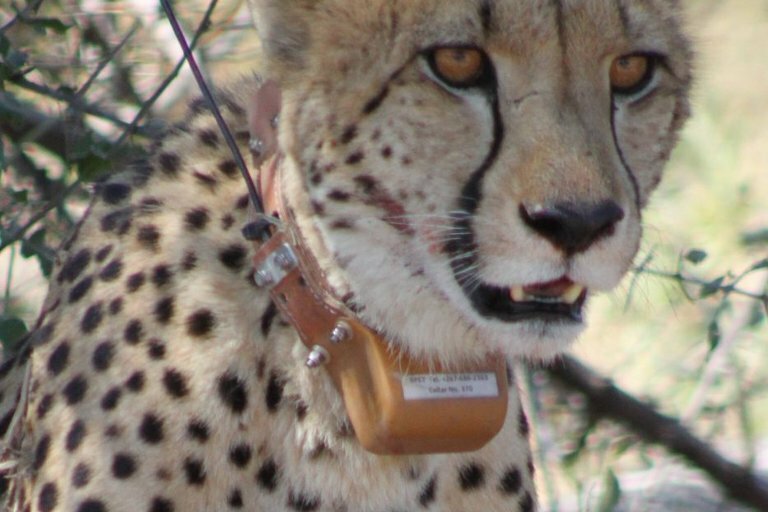 Wilson and his team developed collars to track the animals and to record nearly every detail of the movements of nine lions, five cheetahs, seven zebras, and seven impalas in northern Botswana. The animals were darted with a sedative and outfitted with the collars. While the animals were sedated, the scientists removed tiny muscle samples that were later analyzed in the RVC's structure and motion laboratory. Together, the biopsied muscle bits and collars provided information about five measures of performance: maximum muscle power output and contraction speed, rates of acceleration and deceleration, turn speeds (based on grip and leg strength), how fast each species ran in hunts and the their top speed, and how frequently each species took a step, as each step provides an opportunity to change direction or speed. A total of 5,562 high-speed runs were analyzed, and the athletic capabilities of the predator-prey pairs, lion-zebra and cheetah-impala, were compared. The team of scientists found that the cheetahs and impalas were much more athletic than the lions and zebras. These animals' muscles were 20 percent more powerful. They were also 38 percent faster, 37 percent better at accelerating, and 72 percent better at decelerating. Some of the observed difference is due to a size effect, Wilson said. "Bigger animals tend to be slower," he explained. Slow is not always so bad, though. Moving in such a way can provide a "big advantage," Wilson said. Wilson said that predators tend to be faster overall than their prey. They have evolved this particular competitive edge. Cheetahs, for example, are the fastest terrestrial animals. They are able to accelerate to 60 mph in just a few seconds. While they ramp up to top speed, these big cats pump their legs in tandem, bounding until the cheetah reaches a full gallop. While there were many hunts recorded in the data, there were no instances of a collared predator hunting a collared prey animal. The researchers therefore created a computer model to explore how conditions and tactics affect hunt outcomes. A simulation was used to model the last two strides of a hunt after the predator had gotten close enough to capture prey. Using the simulation, the researchers determined that lower-speed hunts nearly always favor prey survival. 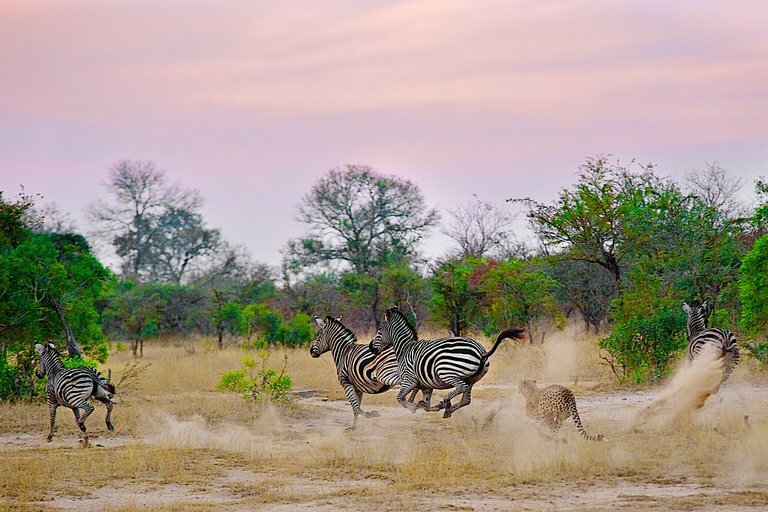 The single best prey strategy was for the impala or zebra to turn suddenly at the last possible moment, making a movement that the predator could not follow. The faster the predator was going, the better the sudden surprise move was for the prey. Confusion in that moment presumably often gives the impala or zebra precious time to escape. It is also possible that over time, with repeated unexpected prey twists and turns, the lions and cheetahs could give up. "Neither of the cats are really endurance hunters," said Wilson, who was sometimes able to calmly approach the wild cheetahs, even when they were not sedated. 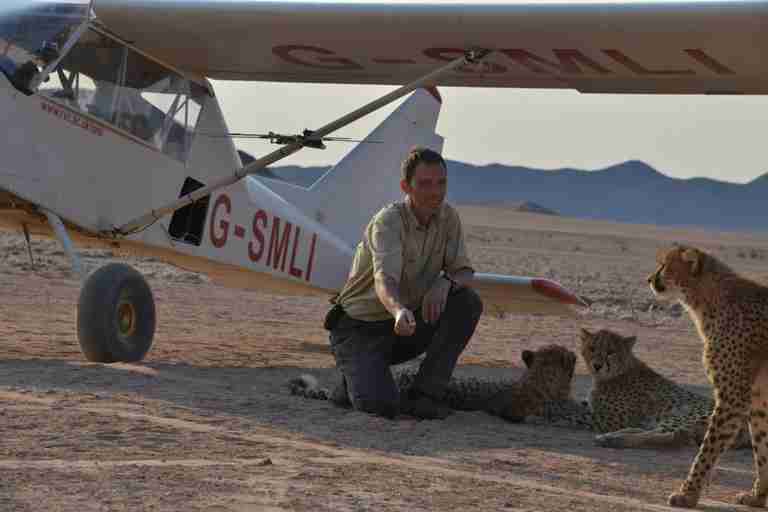 Such moments were captured in the documentary Big Cats, which will debut January 25 on BBC One. Even domesticated cats seem to behave in this manner. After eying prey, they may slink to position themselves in an optimal way before pouncing, but then tend to walk away if their initial approach is unsuccessful. Hunting requires a lot of energy. In the wild, conserving such energy can be a life or death matter for predators. Animal experts have often wondered why lions rarely go after impalas. In addition to finding that impalas are actually more athletic than lions, the researchers' computer simulations determined that impalas can usually escape lion pursuits. The findings help to explain why lions catch impalas opportunistically rather than in open pursuits. Not all predators, however, suffer from endurance problems. 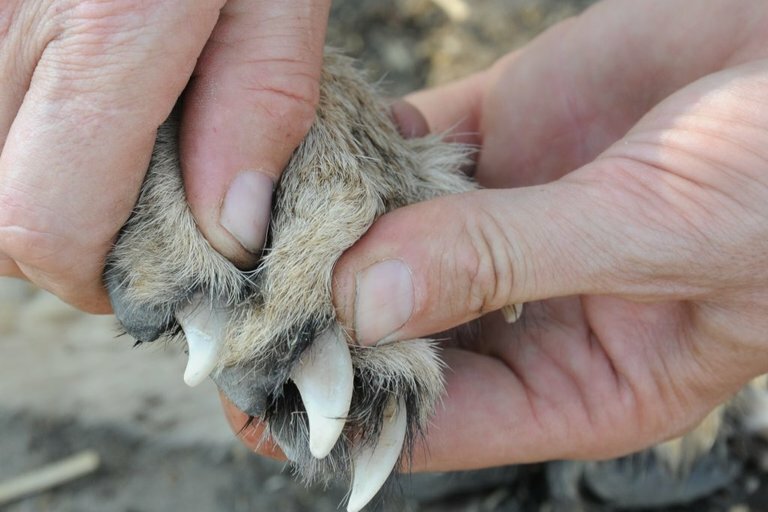 "Wolves, fox hounds, and deer hounds are reported to be endurance hunters," Wilson said. Nevertheless, there are many instances of zebras and impalas outwitting predators like wolves with unpredictable moves. It would seem that having a lower fight-or-flight response should benefit prey that are still fit and athletic. Wilson said that is possible, "but there is the counter argument that being too far away to chase is an even better strategy, hence vigilance and detecting a predator that is looking to hunt is important." The findings could help wildlife conservationists to better determine how animals hunt, what terrain is preferable for both predators and prey, and other key information affecting the animals' survival. Both lions and cheetahs are considered to be "vulnerable" and threatened with extinction, given that their populations have declined over the years. Loss of habitat, lack of prey and their vulnerability to poachers are just some of the human threats they face. Wilson said that the new study "would be of help in reintroducing animals" to their known habitats. A glitch during the research is that the collars were all supposed to drop off when programed to do so. A few did not, forcing the researchers to re-dart the animals and remove the collars by hand. "It is an issue with a mechanical unit in a hot, dusty, wet environment," Wilson said, admitting that the commercial drop-off units "are very expensive and their reliability is not very good. It is the only part of the collar we don't design ourselves." This problem did not affect the findings, though. While the collars look to have been rather large and unwieldy, the researchers performed tests prior to the study to determine what device weights and sizes the animals could tolerate without effecting their normal behaviors. As for how humans fit into the picture, the jury is out concerning whether our early ancestors were more predators or prey. There is some fossil evidence that early humans were regularly hunted by saber-toothed cats, hyenas, and other large carnivores. It is unclear, however, if these predators merely scavenged early human remains. On the other hand, Wilson said that additional evidence points to humans "evolving to be endurance hunters." Only some cultures today may exhibit an evolved advantage for endurance. Neanderthals — the native hominids of Europe and Asia whose DNA remains in people originally from these regions — did not necessarily attempt to outrun prey. Forensic analysis of their likely hunting sites suggests that Neanderthals often steered large prey, such as mammoths, toward bottlenecks, and then employed an ambush and kill strategy. The researchers remind that speed and hunting success are not the only factors involved in predator and prey survival. The predator must also be able to catch, hold and defend its prey. Both species must also be energetically economical in how they move around their habitat, especially in harsh environments. These dynamics may help to balance predator-prey evolution, such that no side gains attributes making them too superior overall, which could lead to the extinction of their adversary. "Being an extreme specialist is a tricky thing in evolutionary timespans," Wilson said. Should anything change, such as climate, the specialist could be at risk if it could not evolve in pace with the changes. Flexibility in all respects — diet, movement, and ability to evolve — therefore could predict a species' survival in the animal kingdom over time.